Augview combines two different world: The class map view for the familiar overview of GIS-data is combined with the augmented reality display for the local and intuitive interaction of GIS-data in 3D. 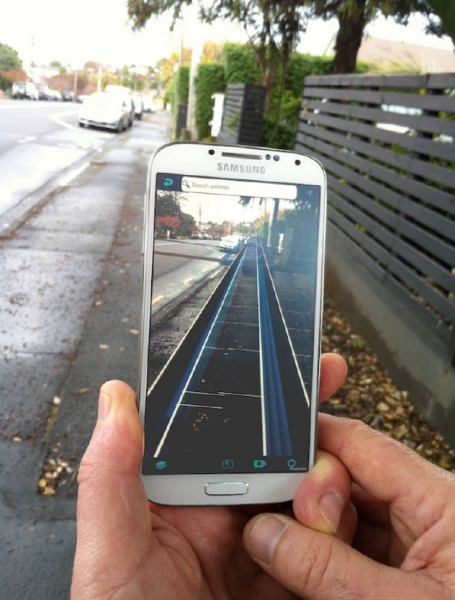 The app “Augview”, which was developed by Augview Ltd., a partner company of GRINTEC , displays operating material such as installations or line data live onto the screen of your smart phone or tablet. Augview automatically connects to one or more GIS web servers and depicts the information in traditional 2D maps as well as in 3D visualization. Additionally, attribute information is provided and can be examined, manipulated and updated attributive as well as spatial. 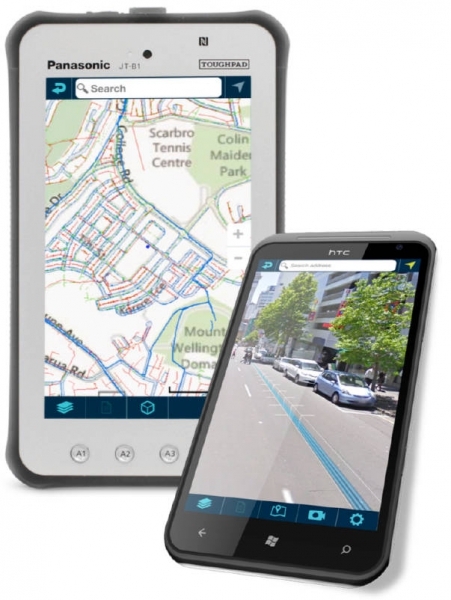 Augview on the one hand provides a mobile GIS to visualize and maintain data. On the other hand, it provides an augmented reality application that helps you visualize information which you cannot see in reality.